In a country that sometimes prides itself on having achieved a secular society, the Buddhist religion often seems marginal to contemporary Japanese culture. Yet surveys of the populace reveal that a large majority (roughly 75%) identifies itself as Buddhist. suggesting that, at least for many Japanese, being Buddhist does not necessarily entail exclusive allegiance to the religion. Indeed, it is sometimes said that Japanese are born Shinto (i.e., receive blessings from a Shinto shrine at birth) and die Buddhist (receive Buddhist funeral and memorial services). If Buddhism often seems marginal to public life, it remains central to private life through its role in the care and commemoration of the family dead. The representative institution of contemporary Buddhism is the local temple, which serves as the residence of a married cleric and his family. The temple is supported by a lay membership, for which it provides a calendar of rituals and festivals, occasional pastoral care, and especially funerals and memorial services. Such local institutions usually represent branch temples (matsuji) of the many denominations, or schools (shū), into which Buddhism is divided. These organizations, registered with the government as religious corporations (shūkyo hojin), are typically centred in a main temple (honzan), which serves as symbolic and administrative headquarters. The larger denominations, which can claim thousands of local temples, may include several monastic centres, as well as parochial schools and universities. Whether large or small, the denominations operate as independent religious entities, with their own clergy and real property, their own distinctive scriptures and rituals, and their own lay membership. Hence, in institutional terms, Japanese Buddhism is simply the sum of its denominations, and being a Buddhist means being a member of one of the denominations. 2. the so-called new religions (shin shūkyo), founded in modern times. (e.g., the Nichiren shū and Nichiren shoshū). These groupings do not typically reflect institutional affiliations; contrary to common usage, there is no organization that could be called, for example, the Zen school or the Pure Land School. In the category of new religions, there is a wide variety of organizations, from small local groups, to large national and even international, bodies such as the Soka Gakkai. still others arose in the last decades of the 20th century, the most recent sometimes being referred to as the “new new religions” (shin shin shūkyo). - but for the most part they are wholly independent bodies, typically founded and run by a lay leadership. The older, more established organizations function much like the traditional denominations in providing services to a stable membership of lay households; the newer groups tend to be tailored somewhat more to the spiritual aspirations of individual converts. others have developed a distinctive scriptural corpus, which may combine traditional Buddhist material with elements drawn from other sources. Indeed, within the broad category of new religions are organizations, such as the notorious Aum shinrikyo, so eclectic in their beliefs and practices that it is difficult to identify them as Buddhist. Still, whether or not they can easily be applied to the contemporary scene, the 2 categories can be useful in revealing tensions, present throughout the history of Japanese Buddhism, between tradition and innovation, orthodoxy and heterodoxy, elite establishment and popular practice. Many of the distinctive characteristics of the contemporary Japanese Buddhist institution have their origins in government policies of the Meiji period (1868-1912) and the long Edo (or Tokugawa) period (1600-1868) that preceded it. It thus drew a sharp, and historically dubious, distinction between a native Shinto and the imported Buddhism, and sought institutionally to separate them - a policy that had the practical effect of a brief but severe persecution of many Buddhist establishments. on the other hand, it carried forward the Tokugawa practice of legal recognition and regulation of Buddhist organizations, setting the precedent for the pattern of religious corporations that we see today. Honmatsu refers to the organization of the Buddhist institutions into a fixed set of sanctioned denominations, each governed from a headquarters responsible to the secular authorities. Terauke refers to the practice of requiring lay households to register their members at a recognized local temple. These 2 systems, developed during the 17th century in order to regulate both the Buddhist institutions and the religious options of the populace, had the effect of establishing Buddhism as a branch of government administration and the local temples as the registrars of the citizenry. Such an arrangement assured Buddhism throughout the Edo period of both government support and popular patronage; and indeed, though the period is sometimes regarded as one of Buddhist decline, in many ways the religion flourished. but the period also witnessed a marked growth in the popularity of Buddhist funeral rites and pilgrimage to Buddhist sacred sites that cut across sectarian divides. It also saw the persistence of unauthorized Buddhist communities and the rise of new religious fraternities outside the sanctioned ecclesiastical establishment. And it fostered within that establishment the development of Buddhist centres of sectarian learning (shūgaku) that generated scholarship on the history, texts, and doctrines of the various denominations. The Buddhist sectarian scholarship that developed during the Edo period and continued into the 20th century did much to frame the modern understanding of the religion. to establish the orthodox tenets (kyogi) of the school, to define the corpus of its scriptural canon, and to provide a history of its origins and transmission. Indeed, to this day, the story of Buddhism in Japan is often told primarily through an accounting of the basic doctrines and founding figures recognized by the major denominations (or their groupings into related traditions). The first of these phases covers those schools (traditionally numbered as 6) founded in the years between the introduction of Buddhism from the mainland (usually dated 552) and the end of the Nara. 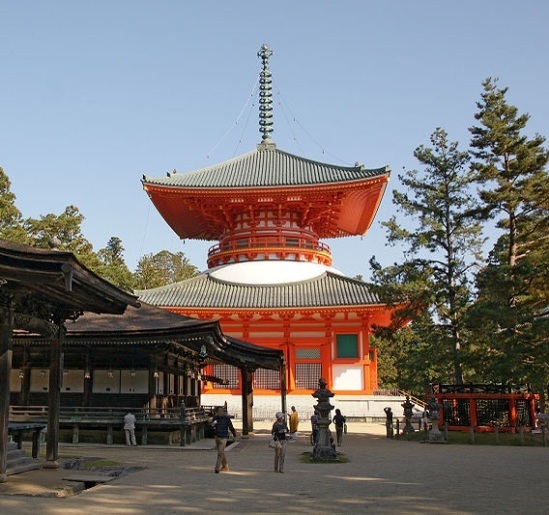 The second is associated with the two schools of Tendai and Shingon, introduced near the start of the Heian period. To the last are assigned the traditions of Zen, Pure Land, and Nichiren, all of which look back to founding figures in the Kamakura period. To the extent that these 3 periods are plotted in a larger historical narrative, it is often one of recurrent spiritual renewal and decline. and the rise of the “new Buddhism of the Kamakura” is understood as a reformation, led by famous founders such as Honen, Shinran, Dōgen, and Nichiren, in response to a Heian Buddhism increasingly dominated by the secular concerns of its aristocratic patrons. The period following the Kamakura is often seen as another time of decline, during which the reforming spirit of the Kamakura founders was lost once again. Needless to say, this neatly articulated account of the history of the various schools, however well it may reflect the self-understanding of the modern denominations, is hardly the whole, or necessarily the most instructive, story of Buddhism in Japan. For such historians, an account that focuses on the sectarian traditions of the schools and the lives and teachings of their founding figures exaggerates not only the historical significance of a few great men but the historical status of the schools themselves. popular Buddhist belief and practice has often, perhaps typically, been oblivious of sectarian distinctions, and the meaning of such distinctions during the pre-modern period developed only gradually over a millennium of Japanese history. The founding of the Nara schools is but a minor note in the early history of Japanese Buddhism, which is itself but part of a larger story of the formation of a central Japanese court and its wholesale importation of continental culture during the 7-8th centuries. While the transmission of Chinese Buddhist books and ideas was certainly one feature of this process, far more conspicuous was the creation of a court-supported clerical establishment, housed at great monasteries in and around the capital cities. Much of the subsequent institutional history of Japanese Buddhism revolves around the shifting relations between the central government and the increasingly powerful and independent monastic centres. Throughout the 8th century, the court sought to bring Buddhism under civil control through the promulgation of regulations governing the ordination, offices, and activities of monks and nuns. Court ambitions for a National Buddhism administered from the capital reached its apogee during the middle of the century, with the government’s dedication of the great bronze Buddha image of Tōdaiji in Nara and the founding of national monasteries (kokubunji) in the provinces. What came to be known as the Nara schools of Buddhism represent simply the curriculum of the scholar monks of Tōdaiji and other officially recognized institutions in the capital, a curriculum of particular Buddhist texts for the study of which the government came to sponsor an annual allotment of ordination rights. - the unauthorized activities of popular preachers, healers, wonder-workers, and the like. These trends toward an Independent Buddhism would only increase as the religion spread throughout the country and into all levels of society during the succeeding Heian period. so too certain monasteries acquired extensive property rights, that made them significant socio-economic institutions. As such, they were players in Heian politics, supported by, and in turn supporting, one or another faction at court; as a result, their elite clergy interacted with, and was itself often drawn from the scions of, the aristocracy. This development produced what is often referred to as Heian “aristocratic Buddhism,” with its ornate art and architecture, its elegant literary expression, and its elaborate ritual performance. The new style of autonomous Buddhist institution is well represented by Tōdaiji, with its historic status as a National Shrine, and the great Kofukuji and Kasuga Shrine complex, with its links to the powerful Fujiwara clan. Tō-ji was the metropolitan base of the Shingon (which had established itself on isolated Mount Kōya). Like Tōdai-ji, Kōfuku-ji, and other major monasteries, these institutions not only held significant land rights but developed networks of subsidiary temples that made them, in effect, the headquarters of extended organizations. The identity of the Tendai and Shingon organizations was ritually reinforced by the adoption of new, private rites of ordination (tokudo) and initiation (kanjo) that supplemented and in some cases even replaced the standard rituals of Buddhist clerical practice. Thus, the first steps were taken toward a division of the Buddhist community into ritually distinct and institutionally separate ecclesiastic bodies. In fact, such was their power and prestige that they continued to exercise great influence well into medieval times, as what is sometimes called by historians the exoteric-esoteric establishment (Kenmitsu taisei). so too the development of new Buddhist movements did not replace the establishment but introduced additional options of religious belief, practice, and organization. While some of these options were resisted by members of the establishment, others were welcomed and, indeed, incorporated into the catholic Buddhism of the great monasteries. The decision to resist or accept rested heavily on the degree to which spokesmen for the new movements aggressively sought patronage in order to establish separate institutions. they opposed those versions of the teachings that sought to convert the laity to the new movements as alternatives to other forms of Buddhism. In this issue, we see not simply a familiar institutional struggle for patronage but the rise of a novel model of religious organization, in which the laity identifies with, and becomes, in effect, a member of a particular Buddhist faction. The new model would become increasingly popular during the medieval period (especially in the traditions of Pure Land, Nichiren, and Soto Zen) and led to the development of powerful national organizations that could claim millions of adherents. This is the prime institutional development that made possible the formal division of Japanese Buddhism into the denominations of early modern and modern times. The outreach to lay believers characteristic of some of the new movements of the 12-13th centuries involved not only novel institutional models but new styles of Buddhist belief and practice. in which the believer is urged to exclusive faith in a particular version of Buddhist teaching and exclusive commitment to a particular form of spiritual practice. So, for example, preachers of the Pure Land movement called for abandonment of the spiritual exercises of the Bodhisattva path in favour of faith in the vow of the Buddha Amida to take his devotees into his Western Pure Land. Similarly, followers of the Tendai reformer Nichiren sharply criticized other forms of Buddhism and taught exclusive resort to the Lotus Sūtra and its revelation of the on-going ministry of the Buddha Śākyamuni. a period of spiritual decline during which it was no longer possible to achieve Buddhahood through the traditional practices of the monastic community. This new religious style of popular outreach, lay organization, and sectarian faith is often said to constitute a “reformation” of Japanese Buddhism, through which the religion emerged from the confines of the cloister into the lives of ordinary people. Yet this account, based heavily on a model provided by the Pure Land tradition (and influenced in modern times by Western religious historiography), hardly does justice to the full range of Buddhism in the late Heian and Kamakura periods. the renewed emphasis within the Buddhist establishment on monastic discipline and the founding of major centres of Chinese-style monastic practice within the new Zen movement. And it tells us little about the religious lives of the bulk of Buddhists, who neither entered the monasteries nor joined the new movements. - and in the soteriological sense that all people could themselves become Buddhas through the realization of this presence. - the chief religious issue was often cast in terms less of how one might purify and perfect the self than of how one might best contact the realm of Universal Buddhahood and tap into its power. Thus, for example, the Pure Land teachings tended to treat the symbol of Buddhahood in anthropomorphic terms, as the figure of the Buddha Amitābha, and to understand the universality of Enlightenment as the unlimited power of Amitābha’s compassionate concern for all beings. The religious strategy, then, was to access this power by surrendering the pride that separated us from Amitābha, humbly accepting his help, and calling his name (nenbutsu) in faith and thanksgiving. Here, the prime religious problem lay not in pride but in the habits of thought that obscured the Enlightened Consciousness, and the chief religious strategy was to suspend such habits, through Zen meditation (Zazen), in order to “uncover” the Buddha mind within. - between the virtues of the cosmic Buddha and the psychophysical characteristics of the individual, and so on. - through which the forces of the other realm were contacted and channelled into this world, and the people and places of this world were mystically empowered by (or revealed as) the sacred realities of the Buddha realm. allowing a remarkable freedom of accommodation between the more universal Buddhist vision and the various local Japanese beliefs and practices. and why, though the Buddhist denominations today are so sharply divided in formal doctrine and institutional organization, they are so similar in their social function as the intermediaries between the realms of the living and the dead.